Super Eagles’ Manager, Gernot Rohr has confirmed that he will make three changes to the Super Eagles starting line-up, when they tackle Seychelles in an Africa Cup of Nations qualifier tomorrow. Leicester City striker, Kelechi Iheanacho and Bordeaux winger, Samuel Kalu, who both started the last competitive match against South Africa, were not with the team in Asaba, while John Ogu’s spot in the starting XI is under threat, following the return of Wilfred Ndidi. Four uncapped players in the shape of Paul Onuachu, Ndifreke Effiong, Valentine Ozornwafor and Ikouwem Udo are in contention to make their senior debut for Nigeria this international break. “From the training sessions, they have a chance to come into the game. It will be an interesting game on Friday, we need to see how they will handle the situation,’’ Rohr said. “We have already qualified, but we want to do well to improve, to be better. There’s no other FIFA window, so it’s very important two games. The German revealed that the two international matches would serve as an opportunity for the fringe and young players in the squad to show their worth ahead of the announcement of the roster for the tournament in Egypt. “These two games are important for some players to show themselves. We know most of them. We are younger from the World Cup, because some of the players of the World Cup are not here, we qualified without them. 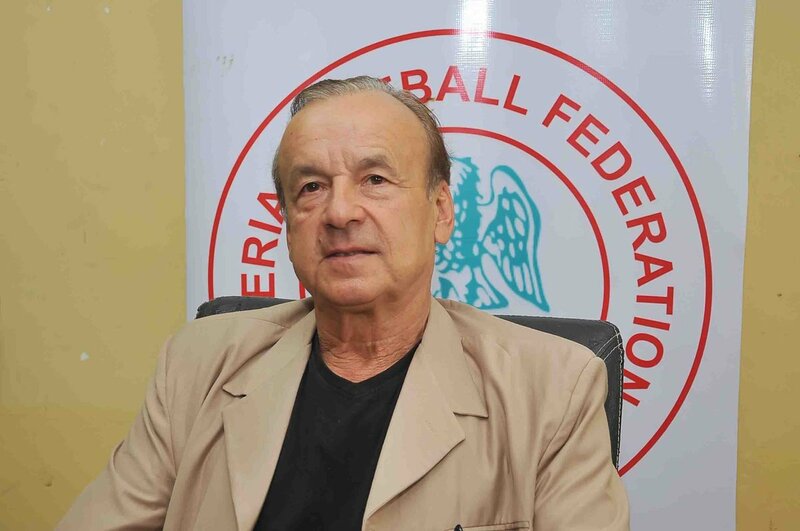 “It is an opportunity for these young players to show again, they deserve to go the AFCON,” Rohr concluded. Meanwhile, the players did not train in Asaba yesterday amid suggestions that they will hold two training sessions, reported Allnigeriasoccer.com. This was the first time the players and manager Gernot Rohr had met in four months and the German tactician decided to hold a team meeting yesterday, where he discussed his plans for the upcoming games against Seychelles and Egypt. The Super Eagles stars did not workout in the gym, as it is customary in the mornings, when they are in camp. There was good news regarding the fitness of Akwa United’s Ndifreke Effiong and Brighton’s Leon Balogun in yesterday’s first workout on grass, with both players coming through the session unscathed after presumably recovering from knee and shoulder injuries respectively. It was confirmed that Stoke City’s Oghenekaro Etebo had recovered from a minor muscular injury as he took part in the session.